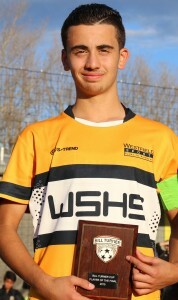 Westfields Sports (NSW) 3 (Makis Petratos 5m; Rani Najjarine 14m; Mohamed Najjar 22m) beat Ipswich Grammar (QLD) 1 (Ju-Ho Lee 60m). 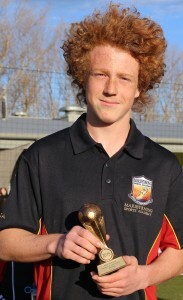 Riley Dinsdale – Maribyrnong College. Luke Manifanas – Maribyrnong College. Maribyrnong College (VIC) 2 (Aleks Taleski 55m, Aaron Anderson 59m) drew with ASC St Peters, Maitland (Northern NSW) 2 (Jacob Mosely 54m, Matt Fogarty 57m). Good Counsel Innisfail, Burdekin Catholic, John Paul College, Palm Beach Currumbin, Chancellor, Grace Lutheran, Toowoomba Grammar, Ipswich Grammar, Knox Grammar, Cherrybrook Tech, Edmund Rice College, Holy Spirit Bellambi, Daramalan, Bathurst, Wade, Maribyrnong College, Carinya Christian, Trinity College Lismore, Coffs Harbour, Mackillop Port Macquarie, Merewether, Hunter, ASC St Peters Maitland, Gosford, Bossley Park, Trinity Grammar, Freeman Catholic, Westfields, The Hills, Patrician Bros Blacktown, Port Hacking, and Moriah College. The Bill Turner Cup and Trophy Finals Series is held on September 1 and 2 in Lake Macquarie, NSW. The teams will be welcomed to the area at a Civic Reception in Warners Bay. The 2015 National Finals Series of the Bill Turner Cup (Boys) and Bill Turner Trophy (Girls) will be played on Tuesday 1 and Wednesday 2 September – here are some interesting facts and statistics. The Bill Turner Cup is now in its 37th year while the Bill Turner Trophy, after coming under the Bill Turner Schools Football banner in 2000, will be contested for the 25th time. Ipswich Grammar School (QLD) beat Redbank Plains SHS 8-0, Brisbane Grammar 3-0, Toowoomba Grammar 6-0 , Chancellor College 1-0, Palm Beach Currumbin SHS 4-1 to reach their first ever National Finals Series. Maribyrnong College (VIC) beat Overnewton College 3-0, Wade HS 4-1, Daramalan College 7-0, Edmund Rice College 2-1 to reach their fourth consecutive National Finals Series and lifted the Bill Turner Cup in 2012. 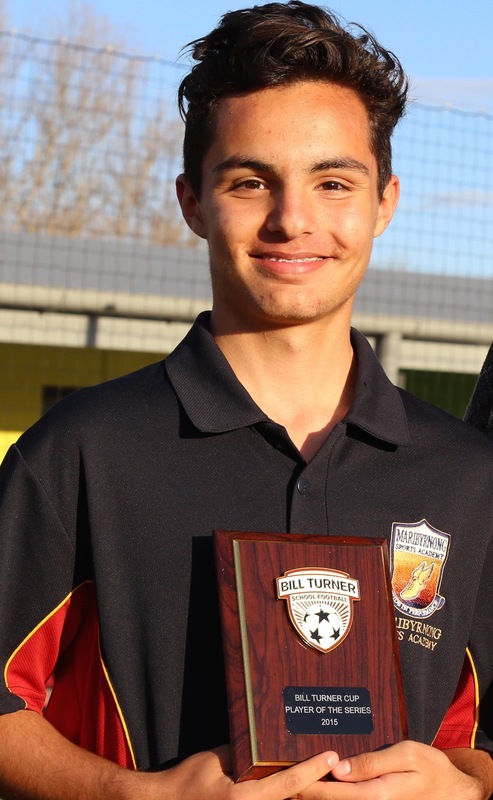 ASC St Peters Maitland (Northern NSW) beat Kurri Kurri HS 5-1, Mount View HS 6-0, St Josephs Aberdeen 7-0, ASC St Josephs Lochinvar 4-1, Gosford HS 3-2, Hunter Sports 3-0, Mackillop College, Port Macquarie 1-0 to progress to the National Finals Series, their first since 1999 where they were runners up to Figtree (Illawarra). St Peters first contested the Bill Turner Cup finals in 1987 and finished third and returned the following year (1988) winning 1-0 over Figtree. 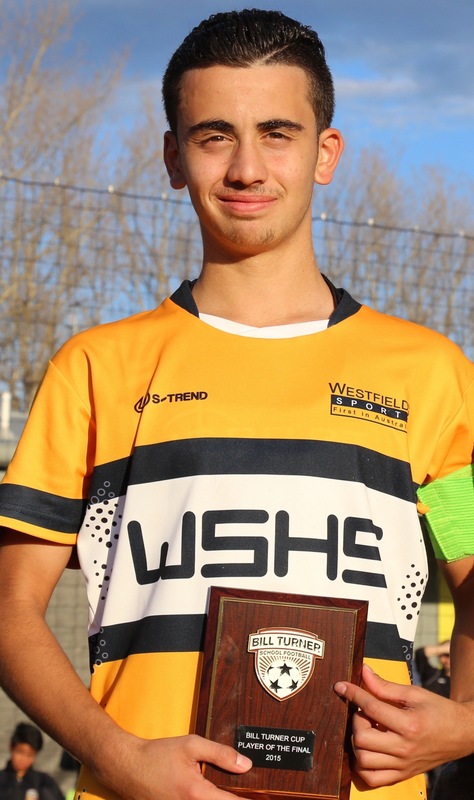 Westfields Sports HS (NSW) beat Thomas Hassall College 11-0, Freeman Catholic College 5-0, Bossley Park HS 2-1, Patrician Brothers Blacktown 2-0 to contest their 14th National Finals Series. Westfields are the best performing school in the Bill Turner Cup having won the National Final on seven (7) occasions: 1991, 1995, 1997, 1998, 2003, 2010 and 2011 and have been runners-up four times: 2004, 2006, 2007 and 2008. Cavendish Rd State HS (Qld) beat Clairvaux MacKillop College 1-0, Palm Beach Currumbin 6-1, Kirwan SHS 3-2, St Peter Claver College 3-2 to earn passage to the National Finals Series for the seventh (7) time, having won in 2003 and 2004 along with being runners-up in 2010. Holy Spirit College Bellambi (NSW) beat Illawarra Grammar School 1-0, Bulli HS 6-0, St Marys Star of the Sea 1-0, Warilla HS 2-0, South Dubbo HS 5-0 and Albury HS 3-2 for their first trip to the City of Lake Macquarie for the National Finals. Hunter Sports HS (Northern NSW) beat St Phillips Waratah 8-0, St Pius X Adamstown 2-0, Hunter Valley Grammar 3-0 and Trinity College Lismore 2-0 to progress to an amazing 12th consecutive National Finals Series on home turf. Hunter Sports High have amassed five (5) Bill Turner Trophy’s (2005, 2006, 2007, 2011 and 2013), been runners-up in 2008 and 2014 since their first appearance in 2004 – that is a record 11 straight appearances. 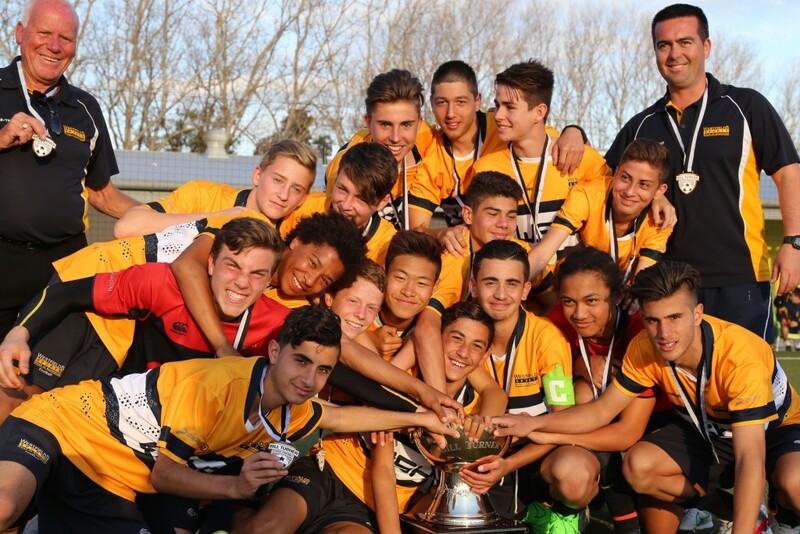 Westfields Sports HS (NSW) beat Cecil Hills HS 13-0, Bossley Park HS 4-0, Kirrawee HS 5-0 and eliminated last year’s champions The Hills Sports HS 1-0 to make their 15th National Finals Series. Westfields Sports High, like their brothers, are the most successful school in the tournament having hoisted the Bill Turner Trophy aloft on nine (9) occasions (1995, 1996, 1999, 2000, 2001, 2008, 2009, 2010, 2012) and have been runners-up twice (2011 and 2013).